Soil structure is one the most important aspects of growing a healthy garden. 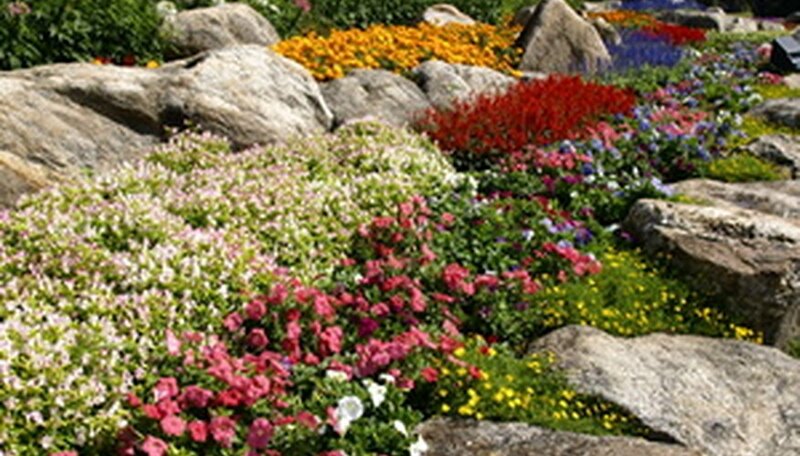 Many gardeners work for decades to achieve garden soil rich in mineral and organic compounds. Attention to soil structure is crucial in achieving good soil porosity. A look at a few basic soil types helps the gardener understand the importance of porosity. Garden soil is made of a few basic parts: mineral content and organic materials. The bulk of mineral content is made of clay, silt and sand, with clay being the smallest. The spaces between minerals and organic materials in the soil indicate porosity. Water and air communicate through soil as a result of porosity. Soil porosity affects drainage, allowing soils to hold water for plant consumption, and draining excess water. Porous soils allow voids in the soil, creating aeration, which is important for root health. Aeration also facilitates the growth of beneficial microorganisms in the soil. Poor porosity facilitates erosion of soils as rainwater washes particles off the surface rather than penetrating into soil. Clay and silt soils tend to stick together, not allowing water and air to penetrate soil structure. They have poor soil porosity and do not let water drain. Aeration is poor and many plants decline and die in these non-porous, waterlogged soils. On the other end of the spectrum, sandy soils drain well and have fairly decent porosity, even though the spaces between the particles are small. Highly sandy soil does not hold water and the excess air in the soil can dry roots out quickly during drought. The garden soils with the best porosity are loamy soils, which are mixtures of clay, silt and sand with organic matter. Loam holds water and nutrients, releases them to plants roots and drains excess water. Their porous nature allows rainwater penetration, reducing nutrient and mineral runoff. Organic matter improves drainage and porosity in all three soil types. Clay and silt soils benefit from the addition of sand to improve drainage. Sand benefits from a small amount of added clay or silt to improve water and nutrient retention. Sandy loams have larger pores than pure sand.